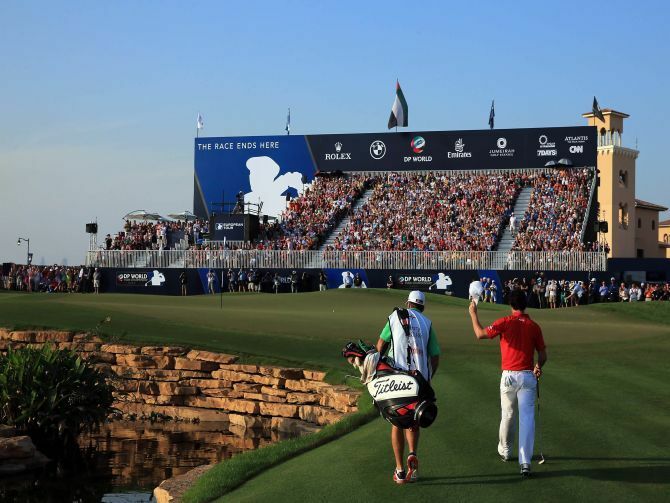 The European Tour 2013 season finally comes to an end this week, as the DP World Tour Championship in Dubai hosts what will be a thrilling finale. The top 60 players in the Race To Dubai rankings (minus Ernie Els, Sergio Garcia and Charl Schwartzel – who have been banned from the tournament for not competing in 2 of the last 3 events. 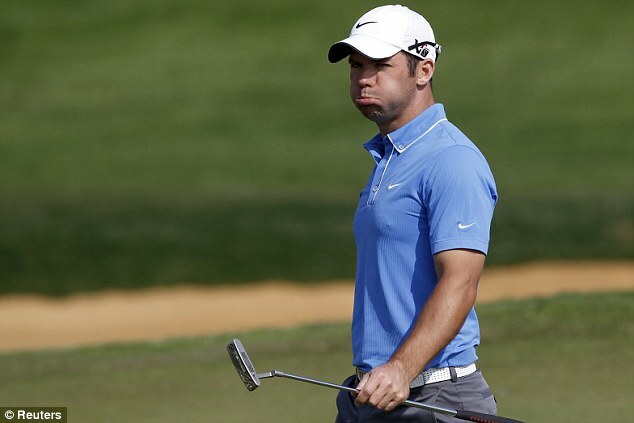 It has caused uproar and Schwartzel may quit the European Tour over it. (BIG NEWS for next year already!) will compete for a share of the $8 million prize fund, but the main catch for everyone is the $1.5 on offer for the overall rankings winner. Length is clearly vital, but with that accuracy off the tee now a pivotal part, that extra dimension will add spice for the bombers. With over 100 bunkers and 20 lakes dotted around the greens and fairways, the most important aspect for any golfer to do well here is GIR. That is why players you don’t associate as bombers have done well here in the past – The Poulters, the Donalds, the Molinaris etc.We can see the scores being altered to last year and players finding it slightly tougher, with Rory McIlroy shooting –23 last year, it is going to be a different prospect. Ultimately, the challenge will be keeping your head in such a heated environment because there are extortionate amounts of money on the line and an unprecedented chance to reach new heights in world golf. As for the odds, we have been fed the expected drivel with such a small field and some players becoming completely un-backable. McIlroy may be coming into form but below 10s is criminal; Justin Rose is the same, whilst Martin Kaymer at 18s made our stomachs curdle. Henrik Stenson proved last week that his injury is playable and he would be one to look at (12s) because he could make history and become the first ever winner of both PGA and European Tour rankings. Ian Poulter also finds himself at 12s, whilst how on earth Jamie Donaldson warrants 25s is beyond us. There is value to be had, but you got to look to find it. Obviously tee to green you’re going to have to be on it this week and in the rejuvenated Paul Casey, there is no better. In particular his driving has been up there with the best of them in 2013 and on forgiving fairways like you will find this week, that could be dangerous. Of course this will be another step up in his rise back up the rankings (Of which he did lie 3rd once upon a time) in taking this title, but he has all the tools for it. The Englishman possesses really steady course form with a 6th in 2010 followed by 16th in 2011. And he is also a double winner of the Abu Dhabi Golf Championship, so he enjoys it in this part of the world. If the putter gets hot, we could see him up there come Sunday afternoon. In a tournament as big as this it is always tough to find any sort of value, but with the Italian we think we have. GIR and iron play is the Italian’s bread and butter or pasta and pizza in his case, and with those qualities you can’t help but think he can go well around here. We have really fancied him the past two weeks but despite some impressive play in parts, he has failed to deliver. But the DP Championship will be a different level this week and it will be a big star like Molinari that you feel will be lifting the trophy. 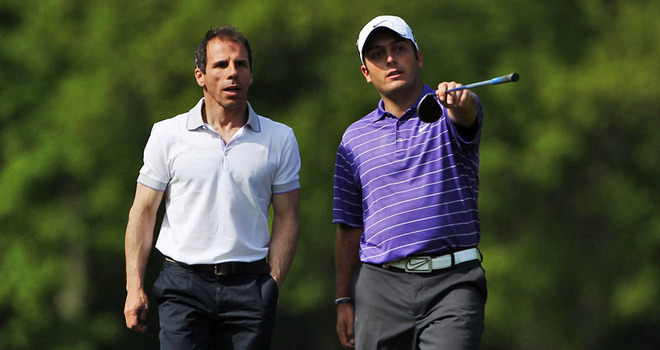 Molinari has a pair of 6th place finishes on this course which shows on his day he can do well around here. It’s been a relatively quiet 2013 for Francesco but winning this would go a long way to making this year a successful one. We deliberated over Peter Hanson two weeks ago because the WGC HSBC Champions had a similar feel to this tournament and he seemed to show some form at last. We eventually decided against it, but knew this week we would have to take a serious look at him. When the Swede is fit and firing, his irons are unbelievable. He is one of those players that have the natural ability to control a ball exactly how he wants but there have been regular struggles throughout this year. However at his last 2 tournaments he has come 8th and 17th for GIR, whilst his putting has not lost that minus touch. T8 and T21 at those two outings is a sign that things are on the up and it would be a fitting way to end a tumultuous year for a golfer who is far too good to be where he is at the moment.His confidence will be high going onto a course he has played supremely well at before as well – never finishing outside the top 20. T16, T4, T13 and T9 is a great return and there is no reason that cannot continue this year. A rather instinctive pick this one but perhaps someone who won’t feature in many people’s plans this week. His GIR and driving has been consistent throughout 2013 especially in the latter parts where he won his first ever European Tour title the Jonnie Walker Championship. When he’s on his game, he attacks pins for fun which will be dangerous around this track. At 22 his future looks bright and maybe this year you could argue is too early but when you see the quality of this young man you will understand why he interests us. 90/1 for someone who has a win and two top 10’s in their last 9 starts for us represents decent value. A place at least is a real possibility. The Frenchman’s ridiculous iron play and determination saw him win his 4th European Tour title at the Spanish Open this year and we were impressed at how he handled himself. His tee to green play was astonishing, so it has been incredibly disappointing at how he has stagnated since that victory. One other top 10 in Scotland is a poor return and there is no point even mentioning his stats because he has been off the radar that much. However, last week in Turkey he was back to his old self, finishing T5 and ending 22nd for GIR, 15th for putts per round.and 12th in driving accuracy. That is an interesting combination that could do well, especially on a course he finished T16 last year. At these odds it is definitely worth a gamble. We were shown the meaning of grit and determination last week as Dustin Johnson closed out superbly to win the final WGC of the season and give us our 9th winner of the 2013 year. The PGA Tour turns to Georgia this week for The McGladrey Classic, as a relatively strong field assembles in Sea Island. 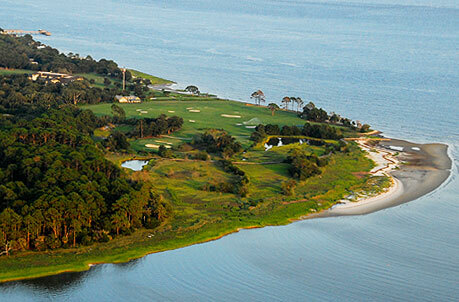 The par 70 Sea Island Golf club lies at 7,005 yards and is short for today’s standards. It gives the shorter hitters a chance and actually relies on a more accurate tee to green approach rather than a boom, bash, wallop. Being beside the ocean and containing lots of marshland give the course a links feel; as similar to a links as you are likely to get Stateside. The slick putting surfaces will challenge anyone, so using the short stick will obviously be key but getting there safely will be the difference for the winner. There is also similarities to the RBC Heritage, Harbour Town Golf Links course, where Graeme McDowell beat this weeks market favourite Webb Simpson in a playoff earlier in the year. So do take into account recent history there as well as the previous 3 years this tournament has been coming to Sea Island. The 3 favourite are pretty much untouchable at the odds they find themselves at – Simpson 10s, Matt Kuchar 14s and Zach Johnson 16s, but they are all great suits to the course and challenge and would not be a silly outright winner bet. 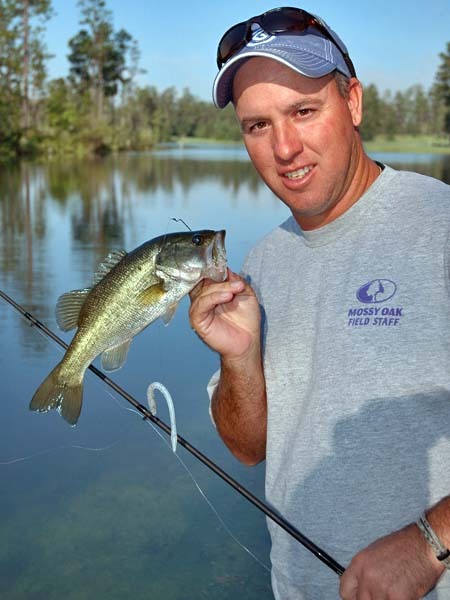 The very confusing but enigmatic Boo Weekley. When this man starts getting on a roll form wise, he is pretty hard to beat and his irons are really looking in shape once again. On this course he has not had the greatest history – T27, T44 and MC – but he is a two-time winner of the RBC Heritage which heralds many similarities and did finish T13 back in 2009 at The Open, which shows he can hold his own on links courses. Boo’s only problem is his putting and that is why he may of struggled here in the past, but it has looked better (it can’t look much worse) and if he can get it going, there is every chance he will be up there come Sunday. Just trust us on the fact his tee to green abilities will get there nearly every time, whether he holes the putts or not is another matter. But at the end of the day, it was Halloween this week and it is clearly Boos favourite time of the year…BOO. One of the most consistent players on tour, he made 9 top 20s last season and regularly proved his worth. He has only ever won twice on the PGA Tour, the last victory coming back in 2007 but we have such a strong affiliation with Howell that surely his 3rd win must come soon. He is too good a player not to pick up more trophies; he just has to find that extra push on the greens to get him there. He is now arriving onto a course he has shown success at – T7 in 2012 and T6 in 2010, in a bit of form having recorded 2 top 10s in a row. He finished T7 last week at the CIMB and T5 at the Shriners the weeks before. His tee to green accuracy looked excellent once again (CIMB – T10 driving accuracy, 7th GIR) but like Boo, he is not always in command of his putter and that can let him down. When you look at it, Howell is an obvious pick this week – in form and plenty of course form, so we just felt it would kill us too much if we saw him up there and we hadn’t backed him. 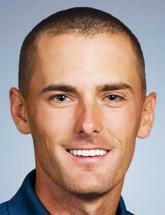 He is a very likeable character and solid golfer to watch because he does rarely let you down. Let’s hope he doesn’t this week. Jeff Overton has caught our eye this week because, like Howell, is coming onto a course he likes and is showing some signs of recent form. We cannot deny that he has never won on the PGA Tour, but that doesn’t mean he is a slouch. He did have a poor season last year, but with 28 top 10s in his career, he can provide some quality golf. What originally caught our eye though was the fact his best major performances are at The Open – T11 in 2010 and T13 in 2009, which shows he has a liking for links style courses. Then he finished T6 here in 2011 and has not been outside the top 20 in his last 3 outings – T16, T9, T14. His driving accuracy at the Shriners, where he finished T9 was T27 and GIR was T16, so he is in fine fettle at the moment. 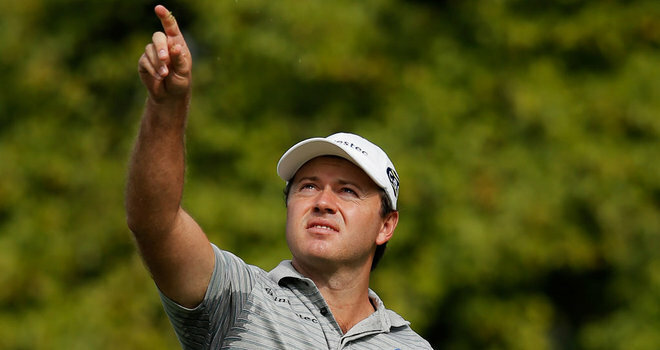 Sean O’Hair is a 4-time PGA Tour winner and has every chance coming into the tournament this week to pick up his 5th. 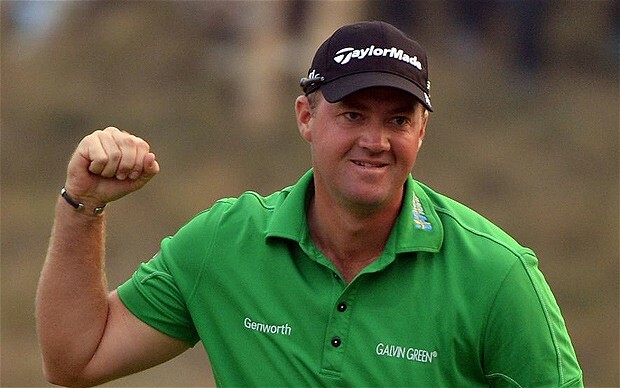 He is a proven links player with quality finishes at The Open with 3 top 20 finishes, including a T7 in 2010. Considering how he usually struggles to find fairways, he is a very solid player on those blustery seaside courses and could relish the challenge here. Last year he finished T20 and in 2011 T15, so he has shown his abilities on this course and we see no reason why he isn’t able to improve on that when his recent performances have been impressive. T15, T23, T8 and T17 makes fine reading and this sort of form could come good when the tournament reaches its climax this weekend. His putting saves him many times as well and lying in 6th for strokes gained is a good return, plus 80/1 – you can’t complain with that! We rarely have two players joint together for our picks but we were simply unable to separate these 2 this week, so we decided to plump for them both. Firstly, Freddie Jacobson is a player we have had traumatic experiences with in the past, yet he we still regard him as someone with potential to win any week he plays. His putting abilities are well documented and it seems his form has taken an impressive turn following a T9 at the Shriners a few weeks back. His GIR for the week was T22 and putting? 11th. He just loves to putt, so when you think he enjoys links courses (3 top 20s at The Open) and he loves short, tight courses, he is a very interesting preposition. Secondly, Chris Stroud on the surface seems like a random pick after poor showings at this course in its 3 years but his performance on his last outing at the CIMB was unbelievable. He eventually finished T3, but he displayed qualities tee to green that could stand him in great stead going into this week. T12 in driving accuracy for the 4 days, T20 for GIR and 5th for putts per round are obviously the perfect, complete package for any golfer on a round of golf and if he can play anything like that again he will be up there without doubt. We have had a cheeky flutter on a British stalwart this week whose odds just seemed too fun not to. It’s the penultimate event of what has been a fantastic 2013 season on the European Tour. 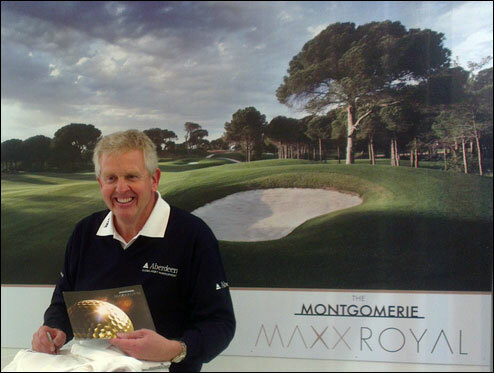 This week we are coming to a really interesting course, The Montgomerie Maxx Royal in Antalya Turkey. After only opening in 2008, this course has been talked about a lot in the build-up to this, it seems Colin has had more success with this than he did in his strive for a major… The likes of Woods, Rose and Stenson are all here, so we are going to be in for a great few days. With this being the first ever Turkish Open, it obviously leaves us without any course form to go on. But after studying what it is all about, we are confident at who will do well around here. The fairways will be tight and the majority tree-lined, whilst the players will have to carry quite a bit of yardage on a few holes just to even reach them! So there will be some daunting tee shots out there and we need players who are consistent off the tee. With it being a tricky little 7,093 yard par 72, accurate iron-play is going to be key also. These are the sort of courses that really do sort the men from the boys when hitting from the fairway. And with 8 lakes scattered across the course, there will be quite a few hazards to avoid too. This type of track will certainly take the fancy of a few people out there. We don’t often go outright on many people, but we can’t help but have a lot of confidence in the German this week. It is safe to say he is nearly back to the kind of form that saw him win a major three years ago. He didn’t really challenge last week in Shanghai but we can tell you he was VERY impressive. Not to mention he shot the course record on day three and carried that form onto day four. This is the sort of course he could really thrive on because his iron-play is nothing short of sensational ‘on his day’. His recent form is T8 last week, 13th, 13th and then 7th at the Alfred Dunhill Links. That is consistent and it is what the German has been lacking for the past couple of years. 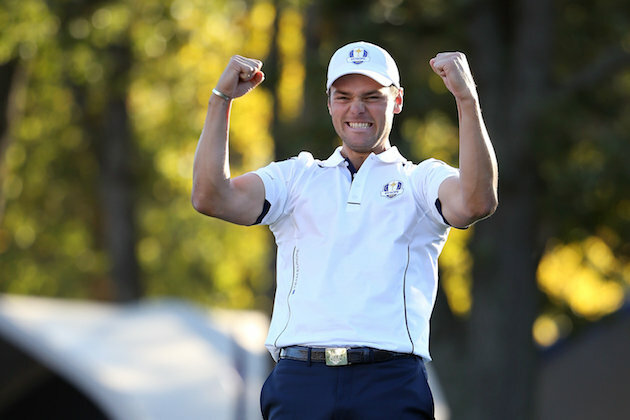 If you did not witness his play last week, take our word that Kaymer will feature heavily this week. 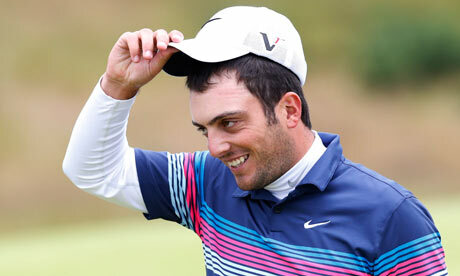 Not perhaps as extreme as Kaymer, but Molinari had drifted off the radar over the last year or so. And just like the German, he has been getting very close to his best over recent weeks and looks like he will get win number 4 on the European Tour sometime soon. His putting has been particularly impressive and when the Italian putts well, he is a threat. Not only this, but he is regarded as one of the best in the game with his irons. That Italian flair around the Montgomerie course will take him a long way. He played consistent last week at the WGC without ever contending but got his fourth top 20 in a row, including a highly impressive 2nd place at the BMW Masters a couple of weeks back. At 40/1 we see great value and he could be in for a good week. There hasn’t been many stronger third picks than the Austrian in our time of doing previews on the European Tour if we are honest. He is one of our favourite players on the tour and it is quite stunning he hasn’t won in 2013. His game has been in good shape all year but his suspect putting at times has prevented him from adding to his first two wins in 2012. Just like the previous two, his iron-play will be perfectly suited to this course and he is one of the best drivers in the game. He will not be worried by the menacing tee shots out there. His form like we say has been steady all year and his last six performances have been 17, 3, 12, 23, MC and 4th. So he really has been knocking on the door. The only thing that could let him down is his putting, but if he gets his tail up, the putts will start dropping. The Spaniard is another of our favourites we have to hold our hands up. But quite honestly there is no better in Europe with an iron when his head is in the right place. His attacking style is a joy to watch and that approach should take him a long way in Turkey. Just like Wiesberger, he has been knocking on the door all the way through 2013 picking up 8 top 10’s in the process. After a slight dip in form a couple of months back he has stamped his authority back on the tour once more with his last four finishes being 5, 8, 17 and 9th! He is very much a player who thrives off consistency and when he is swinging like he is now, anything is possible. He will be a popular choice this week. 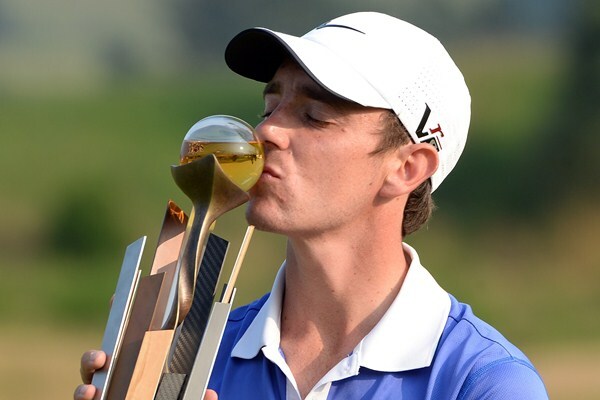 Sterne bagged us our first win of the year at the Joburg Open, so it would be very fitting if he finished our 2013 season off with another. Since his 2nd at the Open De France he has still been consistent but not perhaps challenging as much as he would like. And last week at the WGC, his fourth round of 63 will have gone unnoticed by many. It would have been a joint course record, before Kaymer smashed it the day before with a 62. Of course he could swing without worries after being +5 for three days but even so, that round gives both he and us great confidence coming to Turkey. Sterne is just a solid performer who definitely has the ability to take a major one day. 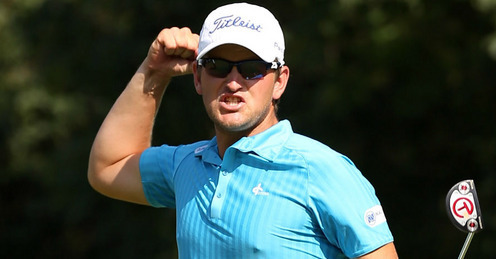 His iron play and incredible accuracy off the tee will make the South African one to look out for. At 80/1 as well, you cannot go wrong! DownThe18th logo was designed by Nathan Palin. Contact him at tazm3k@hotmail.com for any enquires about ideas you may have in mind.